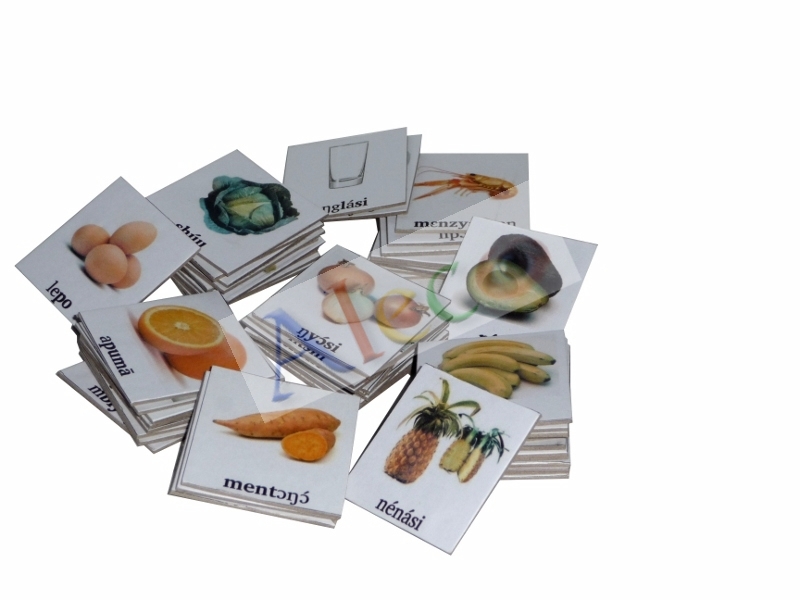 48 pieces of learning cards in strong and rigid cardboard material (2mm depth) with names for vegetables, fruits, spices, drinks, etc. Each card shows a graphical illustration of the word, its orthography in Yemba, its translation in French and English. The following 48 words are included. The root of words is highlited in bold, with respect to the alphabetic entries of the Yemba-French dictionary.